Surrounded by rich fields of Backa and large forest spans, Junakovic Spa extends over about 230 hectares. 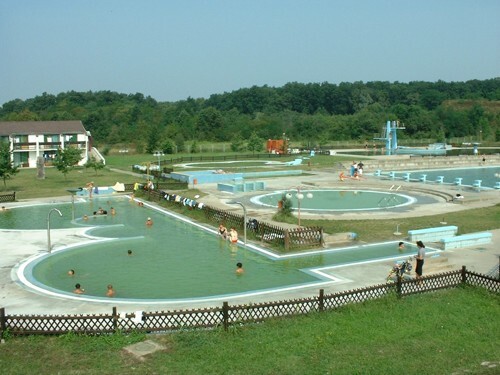 This natural health resort and sports-recreational centre in the south-west of Vojvodina – named by the Junakovics family that once owned the forest along which the Spa is located – is 4 km away from Apatin, 115 km from Novi Sad and 190 km from Belgrade: it is situated at 86 m altitude and has got the continental climate. The first springs in this mineral-water health centre had been used since 1913, but only in 1923 was the detailed analysis performed of the water’s mineral contents. It was established then that the waters from these artesian wells belong to the same category as the healing thermae in the well known spas, such as Harkany (Hungary), Karlovy Vary (Czech Republic) and Lipik (Croatia). The alkaline muriatic and iodine waters (34° – 60° C) are used by bathing and as a complementary means in healing and rehabilitation of the injured and ailing, and for recreational treatment of the healthy. Mainfold utilization of this natural healing centre and application of spa treatments began by building of a modern “Junakovic” Centre for rehabilitation and recreation. The construction works began on 31.12.1980, and the first patients were admitted in 1983; the new part of the Centre was built in 2000.
and there is also acupuncture therapy. Medical Service functions on a high professional level, with a team of medical specialists in physical medicine and rehabilitation, internal medicine specialists, neuropsy-chiatrists, orthopedics, taking care of the patients. 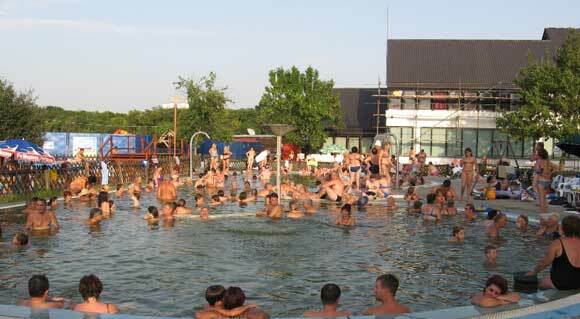 The preserved nature surrounding of the Junakovic Spa, through which trim tracks and those of health stretch, as well as the spacious park with flower beds and sculptures in wood, metal and stone, sports fields, the complex of 10 outdoor pools with hot mineral water, the vicinity of the Danube and hunting grounds, all make this Spa suitable not only for the patients but for sojourn and rest of healthy people as well, and for recreation, sportsmen fitness programmes, and for hunters and fishermen. The pleasant stay in “Junakovic” Spa can be combined with picnics to the town of Apatin, the fishing centre known by its fishing specialties and by its brewery founded in 1756, or to Sombor (16 km) where there are fine art galleries (“Konjovic” Gallery and others). The proximity of the Danube enables fishing or taking up water sports. This modern hotel building offers 131 double-bed rooms and four suites. The hotel has got three restaurants (serving the specialties of Yojvodina, but dietary regimen as well), while its spacious lounge hosts an art gallen.